The Adaptive Ski School Lake Winnipesaukee is now called Lakes Region Disabled Sports found at Gunstock in New Hampshire is a program designed to help those with physical, emotional and cognitive development needs. Each student is paired up with trained, volunteer instructors to enable them to participate in the downhill skiing experience. The instructors work with all sorts of special needs students. Whether you're missing a limb or have autism, the adaptive skiing program enables the whole family to ski. Each student, whether they need help or are able to learn on their own, have a rewarding experience while skiing at Gunstock in New Hampshire. Many parents shy away from special programs because they want to stay in their comfort zone. They set limits and feel their children will do just fine in regular ski lessons. Soon after, they find that regular ski instructors don't have the training for those with special needs. For those who want to get their children or themselves on skis, then trying out Lakes Region Disabled Sports Adaptive Ski School Lake Winnipesaukee program at Gunstock in New Hampshire is worth every penny. These instructors give their heart and soul to work with all the students that sign up for the program. It is such a rewarding experience for them to teach someone to accomplish a goal such as skiing for the first time or being able to get on and off a chair lift. Adaptive is only one venue to get lessons, coaching, team sports and equipment. 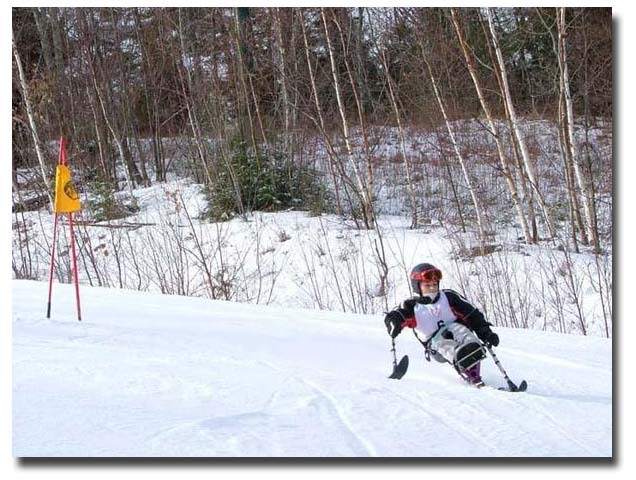 There are other venues out there related to the disabled athlete that go beyond just skiing. You can read more about disabled sports and how to stay included in extreme sports as a disabled athlete. The Lakes Region Disabled Sports Adaptive Ski School Lake Winnipesaukee program requires both volunteers and funding to operate. For those interested in volunteering or donating to the program, contact 1-800-GUNSTOCK x165 or use the Lake Winnipesaukee Travel Guide contact form. Gunstock has all sorts of other ski programs. The learning center teaches you how to ski or snowboard. You can have a group lesson or a private lesson. Whatever works for your tastes. For those who like to get down the mountain fast through gates, Gunstock has a variety of race training and racing options. They host local high school race teams as well as the national race program open to all called NASTAR. You can enroll in group race lessons and clinics through the ski school. There's also a ski club that you can sign your kids into where they will get professional level coaching with peers around their own age and skill level. 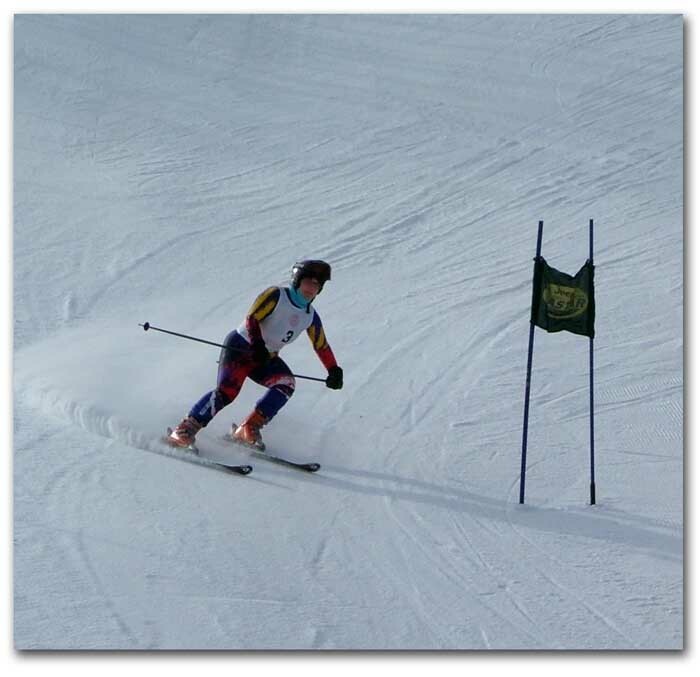 The ski club has produced many top level racers over the years. The corporate ski program brings teams together sponsored by businesses throughout New Hampshire and New England. You can put together your own team, talk your company into sponsoring a team, or you can talk your way onto an existing team. There are three levels of racers divided by ability level and each level can earn points for their team, so anyone can participate. There is celebrating, food, awards and sponsor giveaways after each race in the lodge. Each year Gunstock expands their ski programs to include many new opportunities. You can find telemark, tricks, freestyle skiing, women's ski programs and more. 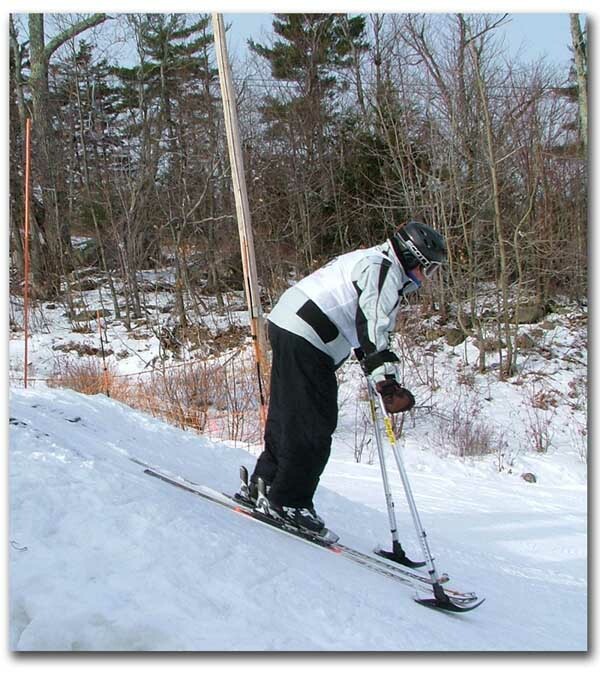 Return to Downhill Skiing from Adaptive Ski School Lake Winnipesaukee Program.